Two of the most legendary names in their respective industries are teaming up on the classic Sk8-Hi silouette with what is being called the "Black 8-Ball". Stussy and Vans is a collab we would take any day of the week as you know it's going to be nothing but fire which is exactly what this latest creation is. 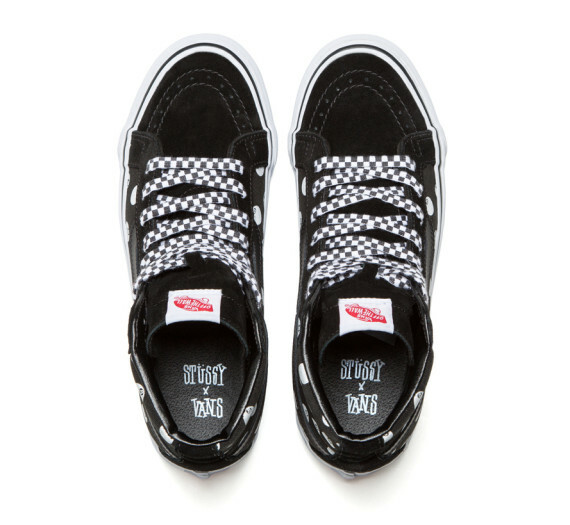 Available today at all Stussy chapter stores as well as online, this Sk8-Hi features a black base with the iconic Stussy 8-Ball print on the upper, Vans checkerboard print laces, leather stripe and "Stussy x Vans" branding inside on the sole as well. 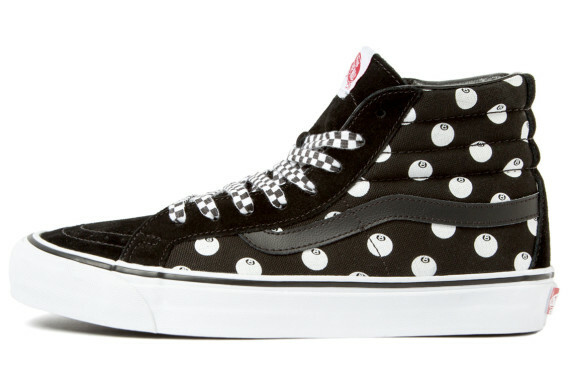 Make sure to hit up Stussy now for these as you know they will surely sell out in a hurry.